Christy Renaissance towels are made using the highest quality Egyptian Cotton. Sourced only from the specific areas of the Nile Delta, the unique properties of the towel fibre guarantee an outstanding performance; great absorbency, exception durability and wonderful softness. 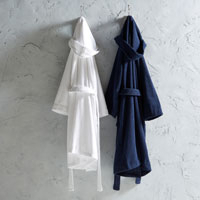 The unique properties of authentic Egyptian Cotton give the towel it’s signature Renaissance look. 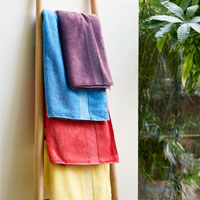 Take a look at our luxurious range of Renaissance towels below. 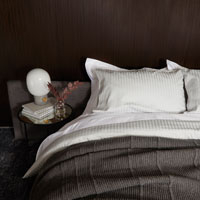 The Christy Renaissance range is one of the few towels carrying the Egyptian Cotton Association GOLD SEAL certification. This designation guarantees that the fibres used in the towels are 100% Egyptian Cotton and not blended with any inferior cotton blends. Available in 12 pretty shades to complement any style, you can mix and match, or simply choose one beautiful colour to make a bold statement in your bathroom. Renaissance luxury towels are made with 100% Egyptian Cotton Pile, 675 GSM giving you a high quality, luxuriously long looped thick towel that feels soft against the skin. Try coordinating with the Christy Rug and Luxury Egyptian Robe to complete the look.